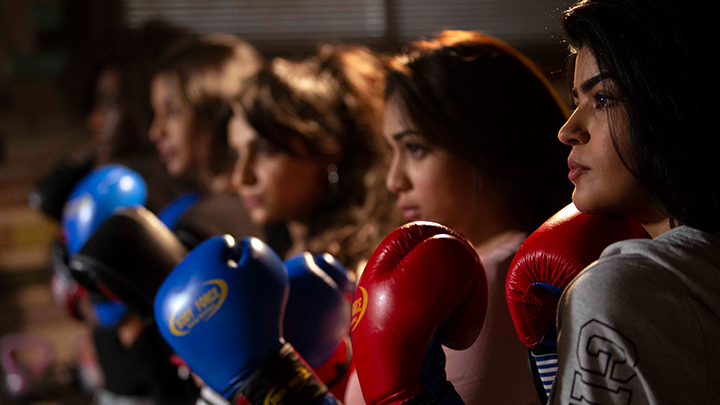 MBC Studios is proud to unveil ‘Boxing Girls’, a brand-new Arabic-language drama produced by O3 Productions and twofour54 Abu Dhabi. Directed by Saudi filmmaker Samir Aref, ‘Boxing Girls’ is the screenwriting debut of Afnan Alqasimi, and stars a slew of well-known names in Arab entertainment, including Fatima Al Hosani, Ali Al Sherif and Shaifan Al Otaibi. The programme places young people at the centre of the gripping story, as well as behind the scenes. As well as the series benefitting from twofour54’s award-winning production and post-production services and facilities, it also was able to take advantage of Abu Dhabi Film Commission’s attractive 30% rebate on production spend. On his part, Peter Smith, Managing Director – MBC Studios stated: “We are creating a unique Saudi production for the youth, by the youth. The characters portray young women struggling to cope with life and the series examines whether they will overcome these obstacles or give in to the pressure. Smith also praised twofour54 for its continued support that allows O3 Productions to film in the UAE capital.